Providing peace by empowering those who are upholding it. The Democratic Republic of Congo has historically been home to years of civil unrest, yet the global community has little visualization into what is happening on the ground. Though humanitarian organizations and security forces do their best to respond as quickly as possible, their lack of accurate and real-time data hindered their efforts. Without the tools needed to see what’s happening on the ground, teams are essentially fighting blind. 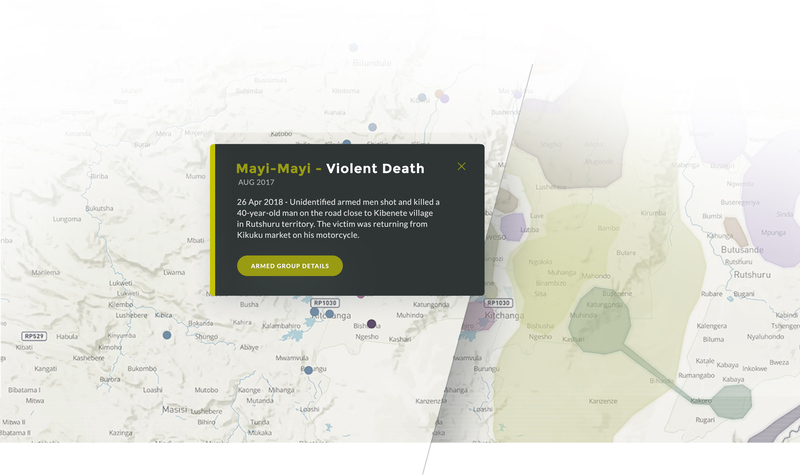 We developed the Kivu Security Tracker, a web application that displays data on incidents of violence and human rights violations perpetrated by 80 different armed groups. To ensure readability on the interactive maps and graphics featured in the app, we created a visual identity for each of the seven categories of incidents. Toggling between Incidents and Control Areas allowed for a better understanding of who was involved and why. 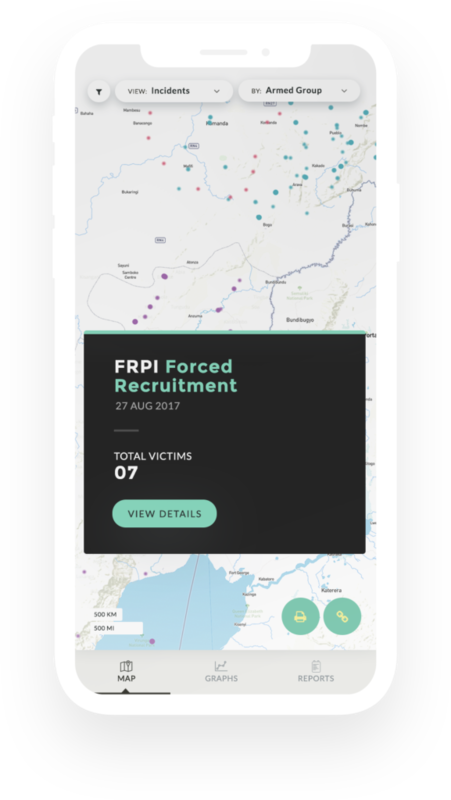 In addition to supporting the efforts of peacekeepers and local security forces, the product gives journalists the information they need to accurately report on the horrific situation of thousands of men, women, and children in those affected areas. Knowing that the majority of our target end user reside in remote places and are on-the-go, we generated visuals that were informative, yet manageable on small devices and screens. A touch of print styling took a digital tool and put it on the wall for easy and up-to-date details. Complex and underfunded global issues often lack the visibility needed to generate action. 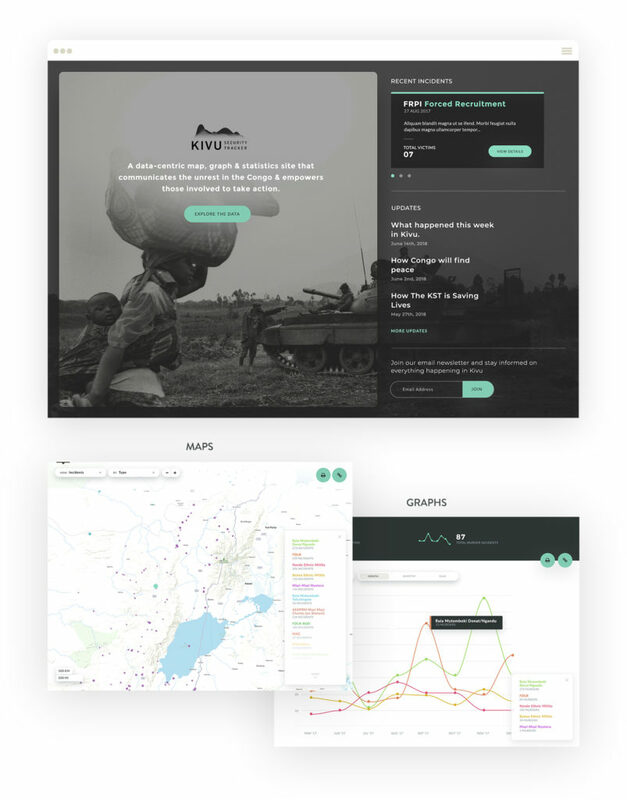 Fortunately, an anonymous business partner saw value in the Kivu Security Tracker and funded the cost to not only develop the platform, but also staff 13 individuals in the DRC and in New York. The team currently works on finding, reporting, and vetting the atrocities taking place in DRC.